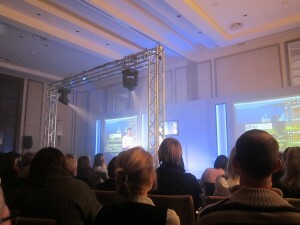 This past weekend, AV Direct along with Infusion Studios put together a stunning game show at the One & Only Hotel. Based on the TV Series “Who wants to be a millionaire?” this game show included everything the original has to offer and more!! The audience was well and truly captivated and stood by to help the contestants with their answers. Who wants to be the ultimate Travel Counsellor? A well produced and very intriguing show, consisted of five contestants who had to answer questions and work their way up the ladder to become the ultimate Travel Counsellor! Contestants were aided by the infamous lifelines as they began their journey. 50/50, Phone a friend and Ask The Audience were on offer as the questions became tougher. 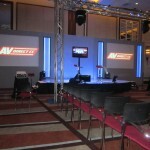 AV Direct began setup using their custom made set designs to provide a stage backdrop. Two 8″ x 6″ recessed screens were built into the set using front view projection. 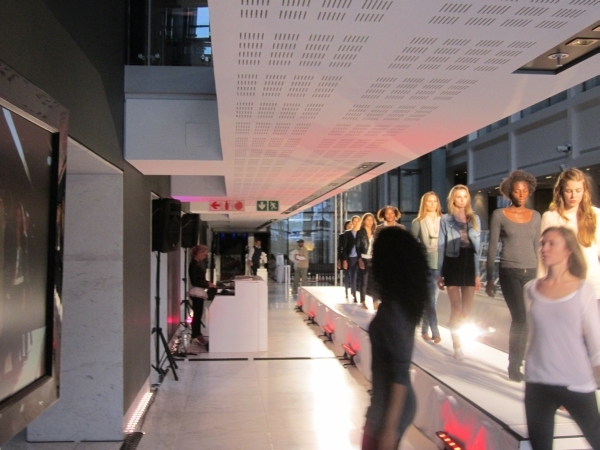 A small stage was erected and cladded with white gloss sheeting, while a truss goal post system was used to provide lighting onto the stage. Next up was to integrate the video switching between digital sources and the live camera feed. 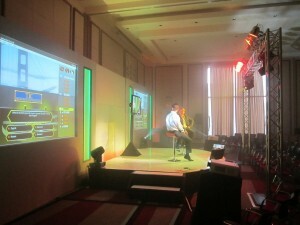 3 LCD monitors were used on stage to provide contestants with the Q&A interface. 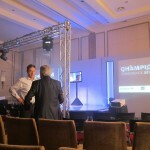 The event was hailed by Travel Counsellor as a fantastic success, and all credit goes to Infusion Studios and AV Direct for making the show into an incredible event! !